Alphabet Blogging: R is for Real Ale | Keeps Me Out Of Mischief! This weekend it has been Father’s Day in the UK. I’m never very sure what to get my dad as a little gift; it’s not that he’s fussy, but he doesn’t really want anything. 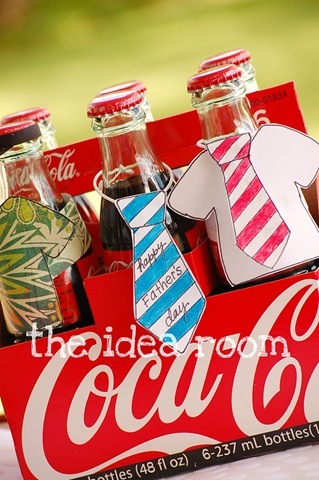 I saw these cute little tie gift tags as I was Stumbling around the internet and thought that it would raise a smile on my Dad’s face. I should explain – my dad has a ridiculous number of ties; my mum keeps giving them to charity shops but they seem to be breeding in his wardrobe! He’s due to retire in September so he won’t be needing them for much longer… doesn’t stop him from buying more though! I think my dad would prefer some real ale instead. There’s loads of great local breweries and I’d buy him a selection from Derby Brewing Company and Derventio Brewery.